We’re all about celebrating your style and want to help you to find the perfect piece for any outfit. Whatever your favorite thing to do in Cleveland is, from enjoying the incredible culinary scene to cheering on your favorite team, we want you to look your best doing it. There’s nothing like the Midwest, and with all four seasons, we can enjoy the latest styles all year long. Your style game is always on point, and we’re your new best friend when it comes to finding the latest fashion. Stop by our Pinecrest boutique to find a dress for date night, a chic blouse for work, and the perfect accessories to go with them. We know that style isn’t one-size fits all and that’s why we handpick a wide selection of on-trend pieces from the hottest designers around. 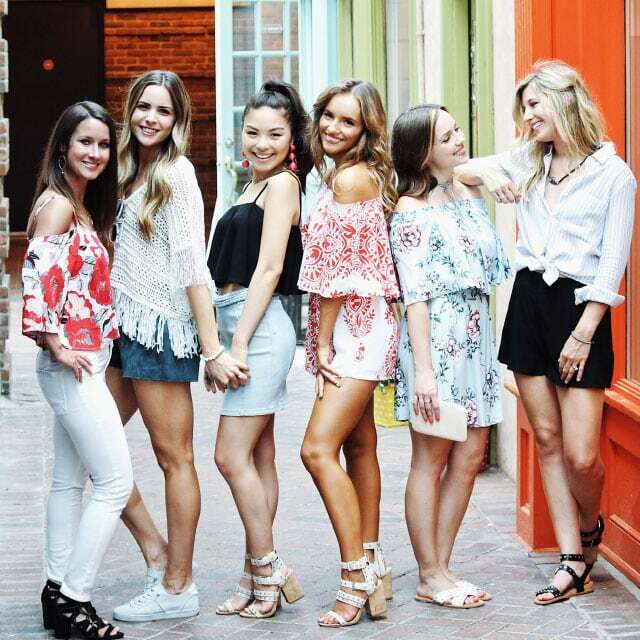 Swing by Scout & Molly’s today to chat with us and put together your perfect look. Fashion is all about what’s fresh and new, mixing styles, and always evolving your look. It’s about expressing yourself and telling the world who you are. We look at the latest trends and pull the best pieces from the hottest designers so that you can find the items that suit you, your style and, your life. You’re a showstopper and always stand out from the crowd with your fashion sense, and we can’t wait to see what you pick out. We know that to showcase the latest styles you have to be in touch with the best brands. That’s why our Cleveland boutique is curated to feature the most on-trend looks from the most popular designers of today. Let everyone see your style with handpicked pieces from brands like Melie Bianco, J.O.A., and ASTR the Label. You’re sure to find the perfect look to turn heads and our amazing team of fashionistas is here to give you the support and advice you need to put together the best outfit ever.